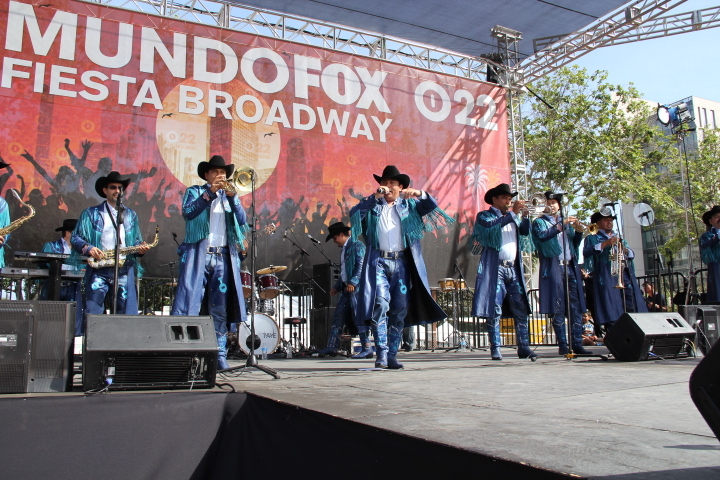 Channel 22 MundoFOX, the Los Angeles flagship affiliate of MundoFOX and the official [title sponsor] television station of the  Fiesta Broadway, got a head start by celebrating the 26th edition of what is considered the world’s largest free Cinco de Mayo festival, Sunday, April 26 at Civic Center Park, in Downtown Los Angeles. Since its debut in 1990, anticipation is set on this yearly event in celebration and remembrance of Mexican General Ignacio Zaragoza who defeated the French Army on May 5, 1862 in the Battle of Puebla. This Mexican victory was a surprise for the French Army was said to be much larger and better equipped than the Mexican army. Cinco de Mayo is a popular date for people of Mexican descent to recognize the bravery of those who fight against oppression. Besides the great food, and entertainment, including free giveaways from a multitude of the fiesta sponsors that included Bud Light, Verizon Wireless, FOX11, McDonald’s, GEICO, Kellogg’s, Metro PCS, Home Depot, Pepsi, Money Gram, Colgate, Time Warner Cable, T-Mobile, Curacao, among many others, it was evident many fiesta attendees were there to enjoy the live performance line-up. 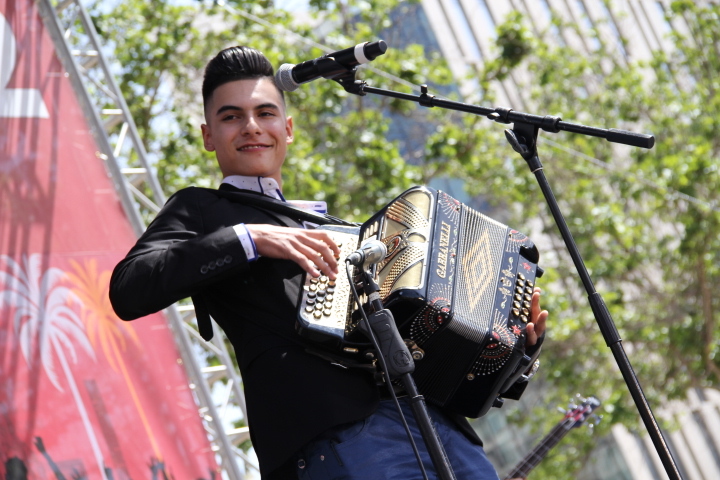 Starting at 11 a.m., and continuing for seven straight hours, MundoFOX talent including Rolando Nichols, Carolina Sarassa, Palmira Perez, and Jose Rondstadt, among others, took turns in hosting, engaging, and introducing musical talents that included live performances by Regional Mexican acts Erika Vidrio, Young Norteño heartthrob Cheyo Carillo, Mariachi singer Omar Arreola, Norteño singer Rafael Mercandante, Mariachi Victoria de Jesus, Norteño newcomer Dwayne Verheyden, who hails from the Netherlands and sings in Spanish, Banda Macho, considered pioneers in the Regional Mexican Banda genre who were also celebrating their 25th Anniversary, and Mexican soap operas star and singing sensation Lucero, who was this year’s headliner. Anticipation was also set high for brother and sister Regional Mexican singers Leonardo and Angela Aguilar, who performed separate, and are the siblings of beloved ranchera singer Pepe Aguilar, who are developing their own individual careers in music. 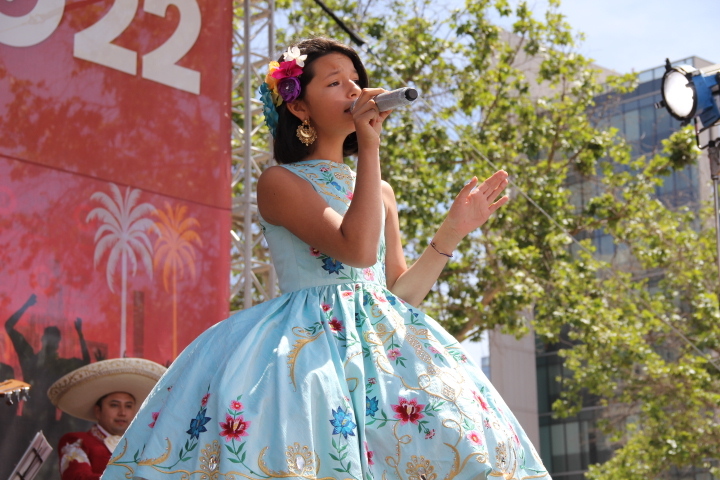 At 11 years old [Angela] proved that she is ready to keep the Aguilar family legacy alive following in her father’s footsteps, who himself also took after his father the late Mexican ranchera singer and actor Antonio Aguilar, who over his career recorded over 150 albums, sold some 25 million copies, and participated in more than 120 films. Both, Pepe and his father have been recognized with stars on the Hollywood Walk of Fame. 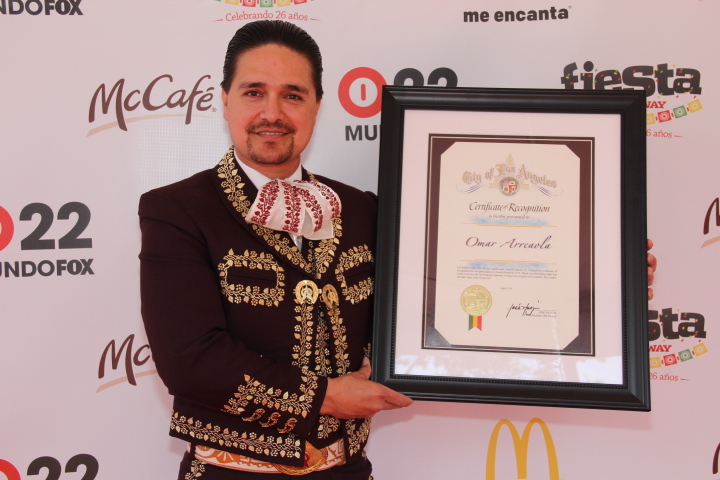 After each performance, MundoFox on-air personalities presented each artist a plaque of recognition on behalf of the city, including Los Angeles City Councilman Jose Huizar, who was not present, but whose 14th District includes downtown Los Angeles, and has always been a big advocate and supporter of the yearly event. 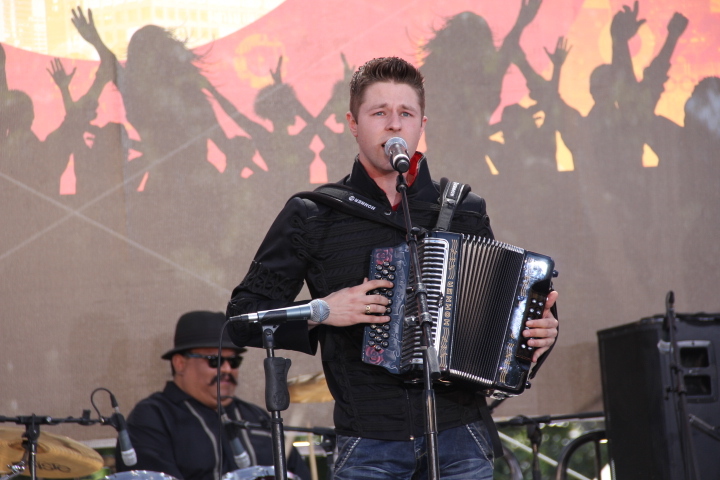 After his electrifying performance, The Hollywood Times, caught up with Verheyden, to find out what motivated him to play the accordion and to sing Regional Mexican [Norteño] music, about any early influences leading to this, and being from the Netherlands, how he feels about Cinco De Mayo, and performing at Fiesta Broadway? 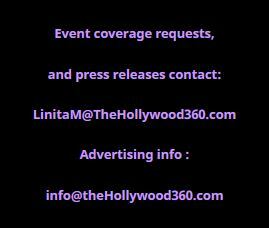 I must acknowledge the beautiful and collaborative effort put on by all MundoFox Channel 22 employees to assure the event would run as smooth as it did, for the great food and their handling of the press.